One of the valve covers on my 1999 Boxster is leaking. Is removing the valve cover and cleaning to refresh the sealant a difficult procedure? I thought I read somewhere that the valve cover is integral in holding the camshafts in place. Can anyone provide any advice for this task? That was news to me when I saw it. I would have to look at the shop manual or ask the mechanics. I have seen them take the cam covers out of the parts washer for a reseal but did not look at the engine to see if there is a special tool holding the cams in place. 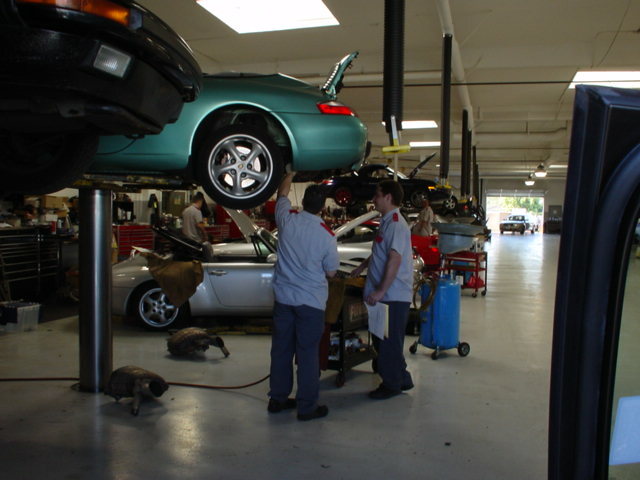 In fact, they were doing 2 cars at the same time so if there is a special tool then they would have 2 sets. I had a slight leak in one of the covers a few years ago. I tightened all the bolts a bit and it went away. Try that and see if it stops. Do not crank hard as they are very small bolts and you will strip the threads. Are you sure your leak is not coming down from somewhere else. Could you check your manual or with your shop to see if they do in fact require a special tool to hold the camshafts in place? I read over on Pete's Boxter Board that the camshafts are held in place where the variocam and chain drive is and then the valve covers do the rest, that is there are no other bearing races that hold it in place. I have snugged up the bolts on the cover, and the leak continues. Ohe of the coil packs is wet also so there is a good chance the o-rings on the plastic tubes to the plugs need replacing. Having owned 928's, this snugging up is a standard procedure for the oil pan bolts at every oil change. On the driver's side the lower end of the cover is wet and on the passenger side the chain cover for the camshafts is absolutely gunked with oil from a long time of leakage. I'd like very much to stop the leaks, and the nearest Porsche dealer is quite far from me so I was curious as to what the special tool(s) is / are that are required. I spoke to Van today. He was 1 of the 2 mechanics I saw doing a cam cover reseal at the same time. There is a tool for holding the cams in place. They do not use it. That is why they were doing 2 cars at the same time for a reseal. Did Van mention why they do not use the tool to hold the cams in place? Just want to make sure the cams will stay in place and I won't do any damage if I remove a valve cover. Scott, I cleaned both the valve covers w/ degreasers and it looks like a good bit of the leak is from the o-rings on the plastic tubes for the spark plugs. I have ordered a set of o-rings and will replace these first and see if there is a significant leak from the valve cover. There is a now a smell of burning oil coming from the top of the engine, and I have narrowed it down to the area where the oil separator resides. I am not able to see the leak, and was wondering if anyone had any suggestions / recommendations? I had the rear of the car off the ground with passenger rear tire removed and had cleaned off the valve cover to make sure the smell was not from oil dripping on to the exhaust header. He said the tool is not needed for a cam cover removal and reseal. The cams are not going to jump out at you when you remove the cover. 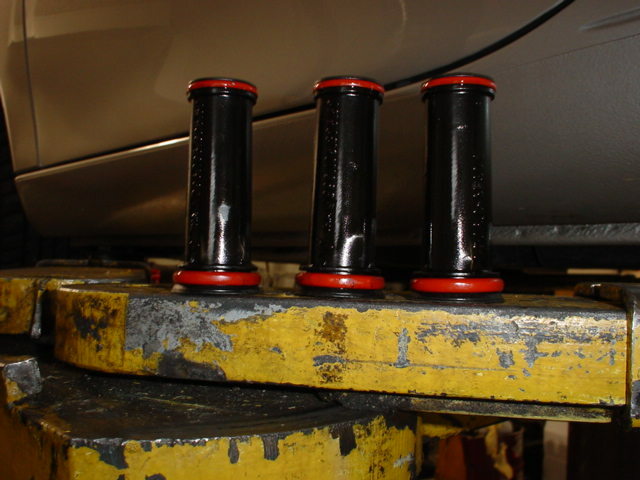 The cams are bolted in at one end and held in place at the other end by the driving chain. Since you mention the spark plug tubes, I saw a third mechanic, Manny, doing this after a cam cover reseal and I did not see any special tool in his stall. The mechanics I have watched at my dealer also replace the black plastic spark plug tubes when they replace the O-rings. Never asked why. I just assumed they do not want to mix old and new parts, and do not want to see your car back again for the same thing. Van also said to drain the oil before you remove a cover as there is 2-3 quarts behind there. Good to know the cams will not jump out and hit me in the head. Thanks for the tip to drain the oil. I think I know why the black plastic finger tubes are replaced along with the rubber o-rings. When I removed the ones from my car, they cracked :angry: so re-using them might not be an option unless you are more skilled than I am when removing them from the engine. In the service manual they actually suggest warming the engine first. First method: Heat cylinder head cover in the area of the oil protection tube using an industrial hot-air gun. Second method: Warm engine up to operating temperature. The second method is preferable if no further assembly work has to be performed, e.g. sealing cylinder head cover, replacing tensioning element (VarioCam)or replacing the flat-base tappets, etc. Might be the reason why I always see them replace the spark plug tubes when they do a cam cover reseal. Forgot to mention, but they also always replace those round green things seals for the camshafts at the ends of the covers. Next time I will take a picture of all the parts need for a cam cover reseal. The "back" parts counter for the mechanics at my dealer puts all the parts for the job in a plastic bag. That is how I know the tubes and round seals are also replaced. So, does it still leak? Or do you have to run out for the tube(s). Engine was warmed up. Have a problem now. One part of plastic broke and fell behind the valve cover. I was planning only to replace the o-rings but I believe now I must remove the valve cover and re-seal to retrieve the pice from the tube. Can you help me with the correct procedure for removing the valve cover? The bolts look straight forward to me, but I am not certain about the chain and cam area where the variocam is written. I called the mechanic from the dealership where I ordered the parts, but he is 3.5 hours from me, and has never had to remove a valve cover. I don't think there are so many Boxsters running around where they are. He said whenver something goes wrong he simply replaces the engine. He offered to let me look through his manual, but I was hoping to find help on-line before having to make a 3.5 hour drive. Might be the reason why I always see them replace the spark plug tubes when they do a cam cover reseal. Forgot to mention, but they also always replace those round green things for the camshafts at the ends of the covers. Next time I will take a picture of all the parts need for a cam cover reseal. The "back" parts counter for the mechanics at my dealer puts all the parts for the job in a plactic bag. That is how I know the tubes are also replaced. So, does it still leak? Don't know. 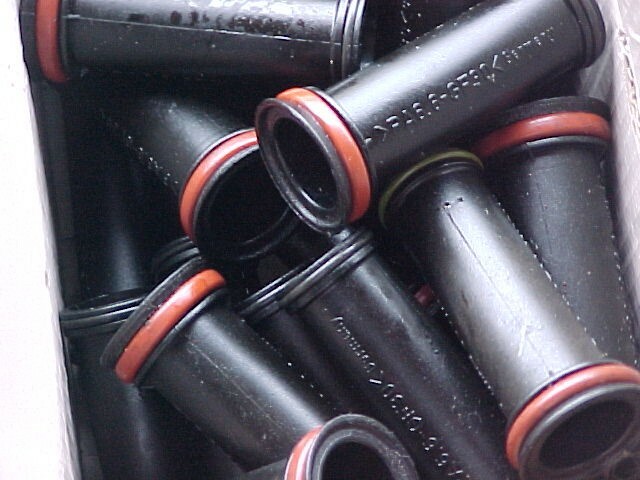 Have ordered the black tubes for the new o-rings since I cracked a few of the tubes. I had cleaned valve covers and driven the car for a while. No drops on the ground until yesterday, so I decided to start on the o-rings. Each area of the valve cover under the coil packs was pretty wet, so I don't know that the valve cover really needed replacing. There was a strong burning oil smell after driving the car so I think the oil was just dropping on to the exhaust manifold. I removed the exhaust manifold and examined the valve cover again, and am afraid to go further until I am able to see the factory procedure for removal and installation. I would greatly appreciate any help / suggestions your mechanics might be able to give for doing this. Well, if you can't fish it out then you will have to remove the valve cover, clean the sealing surface, apply new sealant (Drei Bond silicone - Type 1209 and loctite 5900). Porsche also recommends that you replace the microencapsulated self-sealing bolt at location 3 (in the image below) (Part number 900.378.163.09 (M6 x 16)). Sealant goes around the edge of the cover AND also a small amount on each bearing saddle. Be very careful torquing these bolts down - only 10 ft/lbs. BTW... Porsche also has a special tool for removing the tubes that is like an tailpipe expander. (see image below). Thank you Loren for the removal / tightening sequence of the valve cover bolts. The valve covers on our 944s2 and the 928S4 I had were also very low torque covers, but they only had 13 bolst in each cover. Does the manual state the variocam solenoid must be removed? I believe it resides in the spot to the right of bolt number 19. Also, when looking at the vavle cover from the front side between bolts 18 and 19 there is a circular plate, with four bolts in it, and then four smaller hex key bolts within a smaller radius circle. Do any of these bolts need to be removed in order for the valve cover to be removed? It looks like two of these bolts go in to the valve cover. The manual doesn't say but I think the bolts have to be removed and the solenoid will slide through the valve cover when you take it off (after disconnections the wiring cable). Sounds like your are talking about the oil extraction pump. I'm not sure - I don't think so. If you do take it off note the orientation as is has markings for correct rotation (markings should face the crankcase). Could you ask Van about the cover for the oil extraction pump and if any bolts need to come out of this cover? It looks to me like two of the four bolts bolt in to the vavle cover. If possible, could you help with a list of parts needed for the typical valve cover reseal? I have the oil protection tubes and the o-rings for these. I saw Manny today and guess what he was getting ready to do on a 996. He said there are bolts on the cam cover that need to be removed as well. I think he said for a solenoid and a pump, and these things just pull off. He does not use the camshaft holding tool. He said it also helps to drop the engine down a bit but I told him this was not an option for someone working on their driveway. He said they always replace the tubes because they crack or bits of plastic fall off when removing the tubes. He said not to worry if bits of plastic fall into the cam cover as it will not harm anything. He said there are bolts on the cam cover that need to be removed as well. I think he said for a solenoid and a pump, and these things just pull off. Just wanted to make sure it was ok to remove the four bolts holding the oil extraction pump in place. So I just remove the four bolts, pull the oil pump out, and remove the two bolts for the solenoid cover, disconnect the solenoid cable, and remove the 23 bolts holding the cam cover in place. 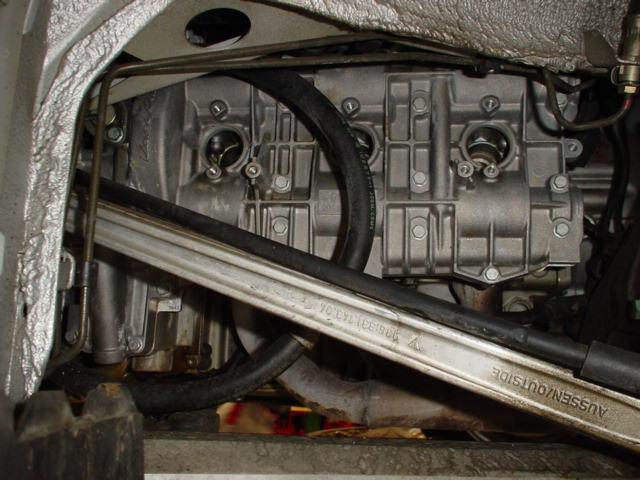 There is a flat gasket I believe between the oil extaction pump and then also the two plastic end plugs for the camshaft ends at the other end of the valve cover. With the tightening sequence from Loren I think I am ready to go ahead with the removal when I make it home on the weekend. Was itching to do this over the weekend, but wanted to make sure I wouldn't take the wrong steps. They also replace those 2 green plastic round plugs at the end of the camshafts. Do you know the part number for the cam shaft caps, the exhaust manifold gaskets (to exhaust and to head), and the oil extraction pump gasket? Best advice I can offer you is to use a pair of circlip pliers to apply force around the outer most edge of the oil protection tube, and try to rotate the tube to loosen the seals up. This worked well for me on 5 of the 6 tubes. I think I let the engine cool down too much (was distracted for a while) and that's why one of the tubes cracked and a piece fell behind the valve cover. Best to do it with engine warm as the tubes are very brittle when cold.